Back to Rehab & Fitness for Everyone.Enquire Today! Maintaining independent function is critical in preserving our health and well-being as we age. The capacity to perform basic physical functions is a central aspect of health-related quality of life. Research has proven that participation in regular activity that incorporates balance, strength, cardiovascular fitness and flexibility, will reduce the risk of falls, improve quality of life, assist in maintaining independence and reduce the impact of age related health risks and disease. At YOUR Physio & Fitness Specialist we 'CARE' about the health and physical function of our retired population, therefore an exercise program has been created with a focus to improve / maintain "Mobility" and independence. 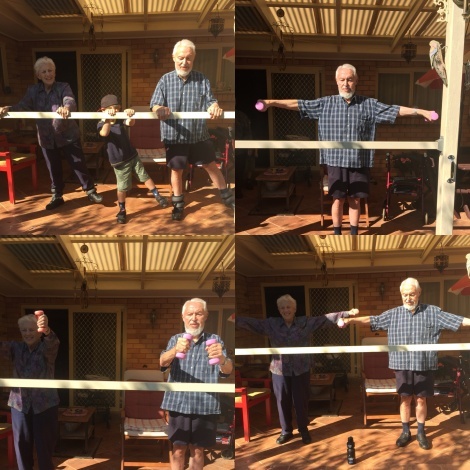 Sessions are run by a qualified Physiotherapist and combine education and exercise to improve strength, balance, flexibility, cardiovascular fitness and overall well-being, to guidour retired population to an optimal quality of life during the golden years. Organise a time for an individual or group session with Kristen Steele and work towards becoming a stronger and independent YOU!